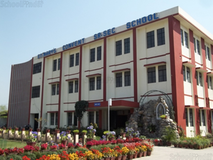 Find below the list of top IGCSE / Cambridge schools in Dehradun with phone number, address, 360° School tours, 2018-19 Admission forms & Fees, photos, facilities & more. Selaqui World School is located in Rajwala Road, Dehradun. It was established in 2004. This school follows the IB,IGCSE board. The school has English medium. 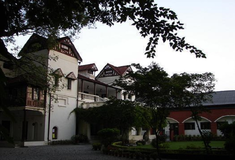 Established in 1984, MIS is an all-girls boarding school for Classes I - XII. The school is situated in Mussoorie, a pristine Hill Station in Gharwal hills at a height of 2003 meters in the state of Uttarakhand, India. Spread over an area of approximately 40 acres, stationed amidst the beautiful forest full of pine, deodar and other coniferous trees. MIS is affiliated to the Council for the Indian School Certificate Examinations, New Delhi, an All-India Board, and University of Cambridge International Examinations (CIE). Students come here from as many as 27 countries from around the world. Our girls bring with them diversity and we create harmony among them. Students emerge as balanced empowered personalities with the holistic education imparted in the rich learning environment of MIS. The approach and curriculum at MIS is a powerful mix of traditional values of India and progressive modern ideas. That is what makes it stand apart from the rest as an educational institution. 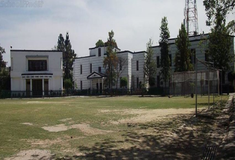 Welham Girls' School (previously known as Welham Girls' High School) is a traditional boarding school for girls located at the foothills of the Himalayas in Dehradun, India. Established in 1957, it has progressed from being a school for privileged local girls to being a school that educates students mostly from North India. 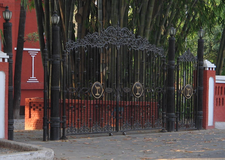 The school was identified as one of the top performing schools country-wide based on academic performance,at the Indian School Certificate Examinations for 2013, the Indian school leaving examination conducted at the end of the K-12 system, by the Council for the Indian School Certificate Examinations. The girls refer to themselves as Welhamites. 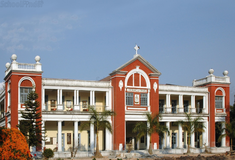 St Joseph's Academy is located in Rajpur Road, Dehradun. It was established in 1808. This school follows the ICSE board. The school has English medium. Choosing the right school for a child is a daunting task. Making the job easier for you is Sqoolz. In order for your child to get admission to the best IGCSE / Cambridge schools in Dehradun you need to study and analyze the list of top IGCSE / Cambridge schools in Dehradun. With our detailed list of IGCSE / Cambridge schools in Dehradun, you can get all the information you need.